Looking for a fun, kid-friendly event before Easter? Come to the Vanderbilt on April 20th for Bunny Fest! 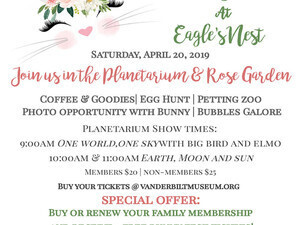 For $25 children will enjoy a petting zoo, egg hunt, photos with the Easter Bunny, bubbles, and a Planetarium show! We are also offering a special membership promotion. 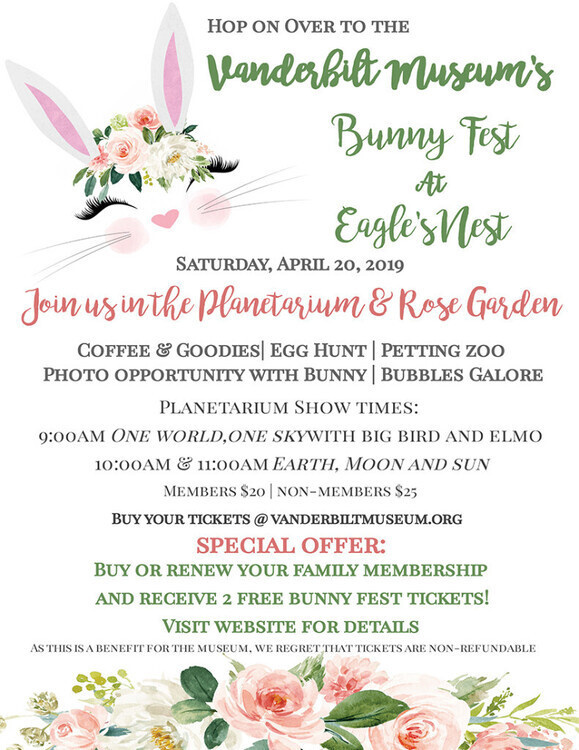 Purchase or renew a family membership and get two free tickets to Bunny Fest! Make sure to check our website for all the details.